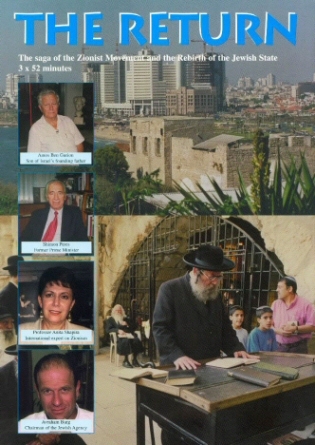 A gripping three part series on the Jewish people's return to their ancestral homeland and establishment of the Jewish state. Beginning in the late 19th century among European Jews, the saga continues as a small number highly motivated pioneers make their way to Palestine under Ottoman and then British rule, and set up the political, social and military infrastructure for the Jewish homeland. WWII and the Holocaust almost puts an end to the state-in-making. Since the UN-recognition of Israel in 1947, millions of Jews immigrate, creating a new Jewish society.